This is a square Lehigh Portland Cement porcelain sign. This particular Lehigh Portland Cement sign is black and red with white text. 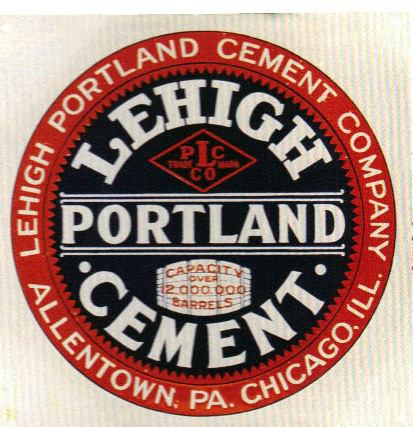 It reads, “Lehigh Portland Cement Company, Allentown, PA., Chicago, Ill., Capacity over 2,000,000 Barrels”.